What I Wore: Coral tank top, denim overalls (GoJane), black buckled heels (Mandees) and handbag (Coach). Styling: Let's take it back to the old school! I absolutely loved how Fashion Blogger and YouTube Beauty Guru, Dulce Candy rocked her denim overalls that I just had to go ahead and wear it myself. I love the fact that it's casual yet chic since not a lot of people would think to wear overalls with heels. 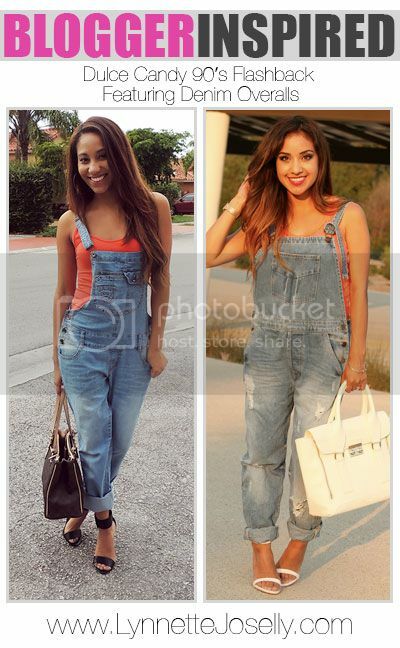 I am so glad the denim overalls are trending again, def reminds me of the 90s!